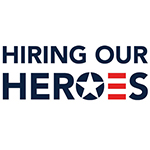 NASHVILLE, Tennessee, September 13, 2018 – SSOE Group (www.ssoe.com), a global project delivery firm for architecture, engineering, and construction management, has again partnered with the U.S. Chamber of Commerce Foundation on their Hiring Our Heroes (HOH) Corporate Fellowship Program (CFP). The HOH CFP is designed to train transitioning service members on skills needed to succeed in the civilian workforce. This is done through a 10-week program that consists of educational programming and on-the-job training opportunities for service members while still on active duty. As part of the program, service members gain private-sector work experience and education to help close the gap in employment for transitioning service members. SSOE will participate for a fifth time as a corporate partner with the HOH program by welcoming two new fellows as Assistant Project Managers. Emmett Bowman brings diverse project management experience to SSOE, most notably in his time as a Personal Security Detail Leader in Kabul, Afghanistan where he designed and led over 650 projects as the senior executive on his team. Most recently, Emmett has been responsible for managing and maintaining a $10 million organization with 140 employees, including support planning, resource allocation, and management of company projects. Emmett grew up in the Northwest, graduating with a Bachelor of Arts in Political Science from Washington State University. Michael Perry has experience as an infantry platoon leader, leading and developing operational planning. In his latest role, he was accountable for $43.8 million of equipment, 138 employees, 75 vehicles, and the planning, coordination, and resourcing of each. One of his key projects included managing the planning, coordination, and execution of a shipment of weapons, hazardous materials, and other equipment from Afghanistan to the U.S. utilizing multiple shipping methods without a single loss of equipment. Michael graduated with a Bachelor of Science in Finance from Arizona State University. 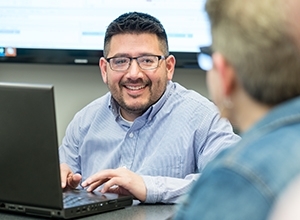 “This program has really helped SSOE recognize the valuable skillsets military personnel possess and how directly relatable they are to our civilian positions. Though we knew these service members possessed strong leadership capabilities, we began the partnership unsure how they might fit into positions within our organization. While the terminology and industry may be different, these Fellows have demonstrated that they have been performing similar project management duties throughout their careers. 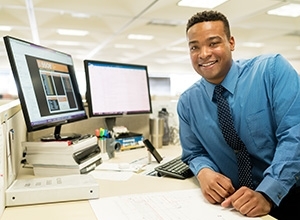 This has been mutually beneficial as it helps the Fellows see their value and future potential, and we, as an organization, see great potential in this talent pool.” says Adrienne Byers, PHR, SHRM-CP, Human Resource Manager for SSOE’s Southeast U.S. offices. SSOE’s active involvement with the HOH program is one of the many ways the firm supports veterans. They also participate in and sponsor the Veterans Matter annual Walk to End Veteran Homelessness year after year, supporting the organization’s mission to provide housing to homeless veterans. To-date, they have housed over 2,400 veterans nationwide. In addition, SSOE currently employs more than 50 team members who have served in the military at some point during their career.